I have recently become fascinated with the story of the orphan boys at the Buchenwald concentration camp. There were 904 boys under the age of 17 in the main camp; most of whom were fatherless. However, Ben Helfgott was not one of the 904 orphan boys in the Buchenwald main camp. The orphan boys in the main camp were protected by the Communist prisoners, who prevented the SS staff from sending them to the sub-camps to work. Helfgott was not an orphan when he arrived at Buchenwald. The 904 boys, who were rescued by American soldiers on April 11, 1945, had been saved by the Communist prisoners from being sent to the sub-camps. The book, Holocaust Journey, is about a trip to several concentration camps, which was led by Martin Gilbert. One of the camps on the trip was Treblinka. I have just learned that Helfgott narrowly escaped from being sent to Treblinka himself. Ben was almost 10 years old when his childhood abruptly ended with the Nazi invasion of Poland. He and his family were ordered to move into the Piotrkow ghetto by the 1st November 1939. It was the first ghetto in Poland. Three years later, on October 14, 1942, deportations from his hometown started – for seven days, the Jews in the ghetto were deported to Treblinka. Of the 25,000 Jews in the ghetto in Piotrkow at the time only 2,500 remained. Ben managed to avoid deportation because of his work in the glass factory. During the deportation, his parents and his two younger sisters were in hiding with 3 different Polish families. Each of them, however, encountered problems with the families that hid them and each eventually made their way back to the ghetto. Ben’s father arranged forged papers that listed the family as part of the 2,500 that could remain in a much reduced area of the ghetto. Informed that if they registered they would be legalized and receive food rations, Ben’s mother took his sister, Lusia, who was 8 years old, to register. It was a deception. His mother and sister were taken with 560 others to the synagogue and held there for two weeks, before being marched to the nearby Rakow forest and murdered. Treblinka was one of the three Operation Reinhard camps which were set up as “death camps” after the Wannsee Conference on January 20, 1942 at which the genocide of the Jews was planned. Ben Helfgott was born in 1929 and he would have been just 13 in 1942, but he was not included in the transport to Treblinka because he was working in a glass factory. His parents and his sisters had to go into hiding and then get forged papers so that they could remain in the ghetto. I am puzzled by this story. Doesn’t genocide mean that everyone in a certain ethnic group is killed for no reason at all? If 2,500 people in the ghetto were allowed to stay behind, and were not sent to Treblinka, was this genocide? If a 13-year-old boy could get such an important job in a glass factory, why couldn’t his parents have gotten a similar job? Did Ben have small fingers, like the children that Oscar Schindler saved, because they were needed in his factory? In reading more about the Piotrkow ghetto on the web, I learned that there were some other famous survivors of Buchenwald, who were from Piotrkow. They also had relatives who were sent to Treblinka and gassed. “We won’t be seeing Shmuel any more,” my father told me, with tears flowing from his eyes. Shmuel was sent to Treblinka that night. So it seems that there was a selection in the Piotrkow ghetto in which some of the able-bodied Jews were sent to Treblinka to be gassed while children were allowed to live. After the destruction of the Piotrkow ghetto in October 1942, Rabbi Moshe Chaim Lau, the father of Rabbi Yisrael Meir Lau, was sent to Treblinka, but two of his younger children were allowed to live. In the Piotrkow ghetto, I worked in the glass factory for eight hours a day nonstop, carrying huge bottles of drinking water for the workers in the factory, where the temperature was 140 degrees. For a whole year I did this, in snow, in storms, in heat, carrying heavy bottles into that blazing hot room. And then I was only five and a half years old. Another famous survivor of the Piotrkow ghetto was Herman Rosenblat who wrote Angel at the Fence, a book that is now being turned into a novel because the main part of the story is fiction. Herman was sent from the Piotrkow ghetto to Buchenwald where he stayed from December 2 to December 8, 1944 before being transferred to the Schlieben sub-camp, and then to a work camp in Czechoslovakia, where he was liberated. Although their father, mother and one of their brothers were sent to Treblinka, Naftali and Meir Lau were not sent to Treblinka. Naftali worked for two years in the Hortensja glass factory in Piotrkow and two months in the Hasag Werke in Czestochowa. Then he and his younger brother, Meir Lau (nicknamed Lulek), the sons of Rabbi Moshe Chaim Lau, were sent to the Buchenwald main camp, arriving on January 20, 1945. They were liberated by American troops on April 11, 1945. In the news today is an article with the headline Study: Dresden Bombing Exaggerated. (March 19) — On Feb. 13-15, 1945, British and U.S. bombers pounded the eastern German city of Dresden with 3,900 tons of high explosives and incendiaries. How many people lost their lives in the devastating firestorms that followed has long been a subject of contention — the Nazis claimed the dead numbered close to 500,000; modern historians have estimated up to 40,000. Now a five-year study by a panel of German historians has concluded that about 25,000 people died in the attack, far fewer than most experts thought. Researchers pored over records from the city’s archives, cemeteries, official registries and courts. They discovered that the death toll among refugees from the Eastern Front was lower than previously reported. They also dismissed the idea that hundreds of thousands of bodies could have lain undiscovered in the smoldering ruins. I am reading a book entitled A Terrible Revenge by Alfred-Maurice de Zayas. It is about the ethnic Germans who were the subjects of “ethnic cleansing” after World War II. According to the book, a total of 9,575,000 ethnic Germans were expelled from the eastern territories of Germany and 3,477,000 were expelled from Czechoslovakia in 1945 and 1946. An additional 1,371,000 ethnic Germans were expelled from Poland. Altogether, a total of 17,658,000 Volksdeutsche were expelled from their homelands and forced to flee to Germany, which was about the size of the state of Wisconsin after World War II. The Dachau concentration camp became a refugee camp for Volksdeutsche, who occupied the barracks from 1948 to 1964, when they were finally kicked out so that a Memorial Site could be built. The Poles, who were given possession of the territory “east of the Oder-Neisse line,” drove out the inhabitants with the utmost brutality, throwing women and children, the aged and the sick, out of their homes with only a few hours’ notice, and not sparing even those in hospitals and orphanages. The Czechs, no less brutal, drove the Germans over the mountains on foot, and at the frontier stole such belongings as they had been able to carry. Having an eye for profit as well as revenge, the Czechs held thousands of German men as slave laborers while driving out their wives and children. Many of the old, the young, and the sick died of hunger or cold or exposure on the long march into what remained of Germany, or perished of hunger and thirst and disease in the crowded cattle cars in which some of the refugees were transported. Those who survived the journey were thrust upon the slender resources of starving occupied Germany. No one of German race was allowed any help by the United Nations. The displaced-persons camps were closed to them and first the United Nations Relief and Rehabilitation Administration (UNRRA) and then the International Refugee Organization (IRO) was forbidden to succor them. The new untouchables were thrown into Germany to die, or survive as paupers in the miserable accommodations which the bombed-out cities of Germany could provide for those even more wretched than their original inhabitants. How many people were killed or died will never be known. Out of a total of twelve to thirteen million people who had committed the crime of belonging to the German race, four or five million are unaccounted for. But no one knows how many are dead and how many are slave laborers. Only one thing is certain : Hitler’s barbaric liquidation of the Jews has been outmatched by the liquidation of Germans by the “democratic, peace-loving” powers of the United Nations. The estimate of the number of German expellees, or flüchtlinge as the Germans call them, in Rump Germany is now eight or nine million. The International Refugee Organization (IRO) takes no account of them, and was expressly forbidden by act of Congress to give them any aid. It is obviously impossible for densely over-crowded Western Germany to provide for them. A few have been absorbed into industry or are working on German farms, but for the most part they are living in subhuman conditions without hope of acquiring homes or jobs. In effect, we say in Germany that anyone who was a victim of Nazi crimes is to be succored, but that those whose sufferings are our own responsibility can rot and die. We also make a careful racial distinction between the various categories of Communist persecutees. Thus a Czech who escapes from the Communist terror is entitled to enter the DP camps and be fed on American food. But a Russian, Rumanian, Hungarian, or Yugoslav who manages to slip across the border into Bavaria, has to live on the German economy. Members of these nations may not enter the DP camps, unless they were in Germany before the end of the war. In effect we say that with the sole exception of the Czechs, only Nazi victims are entitled to help, not Communist victims. Thus Germany not only has to provide accommodation for Hitler’s former victims, the German economy is also now forced to support hundreds of thousands of Stalin’s victims. Nor is this all. Germany acts as a receiving center and transit camp for many thousands of Jews who have left Poland, Rumania, Hungary, and Czechoslovakia since the Communists took over. In one Jewish DP camp near Munich every single person I spoke to had come to Germany after 1945 in hopes of getting to Palestine. Although the number of displaced persons in Germany is continually diminishing and many of the camps are half empty, the Germans are not allowed either to regain possession of the many houses, barracks, and other buildings occupied by the DP’s, or to place their own refugees in them. Exact information is not available since the German authorities are not allowed to enter the DP camps but, according to the estimate of the Bavarian Minister for Refugees, between twenty-four and twenty-eight thousand beds are now unoccupied. While this accommodation is wasted the German refugees are crowded into unsanitary huts and other accommodation unprovided with the most elementary comforts and decencies, and frequently have to sleep on the floor. In the Dachau camp near Munich I found fifty or more people—men, women and children—to each wooden hut 26 x 65 feet in size. There were no partitions, but the inmates were using some of their precious blankets to screen off their cubicles. The huts were cold and damp. It was raining and one woman with a little girl suffering from a bad cold showed me the wall behind their bed where the rain seeped through. Four hundred people at Dachau shared one washroom and one outdoor latrine and there was no hot water. No one had any linen or sheets, and some had neither shoes nor overcoats. Those of the flüchtlinge who have found employment have to continue living at places like Dachau since there is no other accommodation to be found. In Bavaria as a whole, there are already two people on an average in every room or cellar, and the situation is little better in the rest of the United States and British zones. So the flüchtlinge who get jobs often have to travel four or five hours a day, partly on foot, to reach them. One woman I talked to at Dachau told me her daughters left home at 5:30 a.m. and returned from work at 9:00 p.m. after walking two and a half hours each day. For the most part, however, the flüchtlinge have no hope of work, especially since the currency reform which wiped out many small enterprises which had formerly given some of them employment. Moreover, a large proportion of the German refugees are women with young children. I visited the two schools at the camp, one for Protestants and the other for Catholics. The schoolroom was an unheated wooden barrack without desks. The children sat on benches and had no books and hardly any paper or pencils. The two schoolmasters gave instruction by writing on the blackboard. One of them was a Social Democrat from the Sudetenland who had spent the war years in a Nazi concentration camp, and had been liberated only to be thrown out of his home by the Czechs. The children looked thin and pale, but somehow clean and neat, as almost all Germans somehow manage to be even when living in the most miserable conditions. In both schoolrooms the children stood stiffly at attention and shouted “Grüss Gott” in unison when I came in. Formerly they would have said “Heil Hitler” in the same manner, and I could hardly imagine that at Dachau they thought “democracy” was an improvement on the Third Reich. I spent the greater part of a day at Dachau, and spent several hours in Barracks No. 14 getting the history of each family there. The oldest inhabitants of the barrack were a Dr. Werner, aged 64, and his wife. He had been a judge in old Austria and then a state’s attorney in the Sudetenland for twenty years. The Werners’ only son had been killed on the Russian front. In May 1945 Dr. Werner had been arrested by the Czech Government and kept in prison for two years where he was himself starved and beaten, and witnessed the torturing of many fellow prisoners. When finally released he was a wreck and of course all his property had been confiscated. Meanwhile his wife had been driven out of Czechoslovakia and been robbed of everything she possessed, even her wedding ring. She had first been transported with thousands of others in open freight cars as far as Teplitz, and then literally driven by the Czechs on foot over the Erz Mountains. After five weeks of wandering hungry over the roads she had found a place as a farm worker in Saxony. Dr. Werner finally found her there after his own expulsion and was also hired by a farmer. But in August 1947 he was deported back to Bohemia as a slave laborer. Finally he was allowed to go to Bavaria to rejoin his wife who had managed to escape from the Russian zone. These two old people had no hope at all. They were by now too worn out to do physical labor, and there was no other. They had been robbed of their home and their clothes, their furniture and their linen, and could expect gradually to rot away in Dachau. But they were brave old people and not merely concerned with their own troubles. Frau Werner was helping the women with young children and Dr. Werner clearly enjoyed the confidence and respect of all the other fifty-three people in the barracks. Thanks to him I got each of their case histories, and later when I managed to send him some food and clothing, and got friends in America to send a few CARE packages, Dr. Werner distributed them all around, as I know from letters I received. Each family or individual in the barracks had had the same kind of experience as the Werners, and some had suffered far worse treatment. The case of Fritz Bernglau and his wife Melitta was typical. After fighting on the Russian front and being taken prisoner, he had escaped and got home to Czechoslovakia. There he had “eagerly awaited the arrival of the American troops, who unfortunately remained outside Karlsbad.” The Russians came and under their protection the Czech Communists looted the town of Bodenbach where the Bernglaus lived. Later the whole population was expelled in a veritable March of Death. In one day the twenty-four thousand inhabitants of the town were thrown out and then driven like cattle into Saxony. The women and children and old people who could not keep up the pace were beaten with clubs and many dropped by the way. All baggage had to be abandoned. After being unable to obtain shelter in Russian-occupied Lower Saxony, and wandering the roads there for three weeks, the Bernglaus turned back to Bodenbach hoping to be able to retrieve some clothes and linen they had hidden in their house before being expelled. Both were discovered and arrested and Melitta was brutally beaten. They spent ten weeks in prison where thirty-two people were penned into cells for two, and the women had to listen to the screams of men being tortured, for the prison was full of “political” prisoners, meaning “capitalists and landowners.” The wife of the banker Adler committed suicide because she thought the screams she heard were those of her husband in the next cell. Some prisoners were literally beaten to death. “Having learned the horror of Bolshevism on our own bodies,” as Fritz Bernglau expressed it, he and his wife, after their release from the Czech prison, now had only one idea : to get out of the Russian zone. So today they are in Dachau, which, bad as it is, is preferable to being under Communist rule. I will mention only one more case, that of Erika Bruno whose pretty little daughter Renate caught my attention when I entered the barracks. She was a farmer’s wife in Silesia but had been caught by the surrender visiting her brother in Czechoslovakia. Although pregnant she was banished to her home and had to walk two hundred miles on foot, over the Riésen Mountains, living on roots and what she could get by begging. But as soon as she got home, the Poles threw her out and robbed her of all she possessed, even her coat and shoes. In an advanced state of pregnancy she walked barefoot until Christmas 1945 from town to town as far as the March of Brandenburg, where she was admitted to a hospital and her child was born. It was somewhat more cheerful to visit the Wagoner “factory” which a group of Sudeten expellees had managed to set up near Munich. They had been driven out with two thousand others on foot, and had the fifty-five pounds of baggage each had been allowed to carry stolen from them by the Czechs at the frontier. One of them had even been deprived of the little pushcart on which he was transporting his two-year-old son and had to carry him on his back. But the workers from the Wagoner Factory had kept together and had managed to get hold of a few machines from the American authorities who let them use dismantled reparation machinery for a time. Then the Norwegians had given them a couple of reparation machines in return for their services in repairing others. In this and other ways, being highly skilled workers, they had pieced together sufficient means of production to be able to earn their living once again, and were producing boring machines in a little factory. Visiting this enterprise one realized the stupidity of the Czech Government in throwing out skilled workers to satisfy their lust for revenge, or their greed. But a sword of Damocles hung over the flüchtlinge who had ceased to be paupers. At any moment the United States reparations authorities might order the dismantlement of the transformers which supplied power to the Wagoner workshops and other small enterprises in the vicinity. If this should happen, the Wagoner workers would be flung back into the misery of life at Dachau or other camps, as had already happened in the case of others who had established small productive enterprises only to be mined by the currency reform which wiped out their small capital resources. It was not surprising to find that the Communists have considerable influence in the huge Dachau camp where people are living in such terrible conditions. The unofficial leader of the Dachau flüchtlinge was a Communist who by organizing a hunger strike and mass-protest meetings had forced the Bavarian administration to improve conditions in the camp, by “winterizing” the wooden buildings and providing somewhat more food. The Bavarian authorities held responsible for the inadequate accommodations and food in the camps are not, however, the real culprits. Bavaria has been forced to take far more German expellees than any other part of Western Germany, and since so much housing has been requisitioned for DP’s and the occupation forces, the problem is insoluble. According to Military Government estimates, in 1948 a quarter of the more than nine million inhabitants of Bavaria were not Bavarians. There are over a million expellees from Czechoslovakia; 606,000 from east of the Oder and Neisse rivers; 51,500 from Hungary; and another 170,000 from various other places. In addition, there are nearly 300,000 Germans from the other zones or other Western states; and 164,000 foreigners living on the German economy. To these figures there has to be added uncounted thousands of unregistered persons who have entered Bavaria illegally. In this respect Bavaria has the worst problem of all the Western Länder because of her long frontier, which vast numbers of people cross under the cover of night, coming from Czechoslovakia, Rumania, Hungary, and Yugoslavia, as well as the Russian zone of Germany. Whatever efforts are made to find work and adequate shelter for the refugees, so many more keep on coming that Bavaria is like a Sisyphus pushing uphill a stone which continually rolls down again. Only half of the total population increase in Bavaria is accounted for by expellees “legally” brought in under the Potsdam agreement. By the first of January 1948, the Bavarian population which in 1939 was seven million had increased to nine and a quarter million; 1.8 million were refugees and 292,000 were evacuees from other parts of Germany. Seventy thousand foreigners, not cared for by UNRRA, entered Bavaria in 1945-46. In 1947 another seventy-five thousand “border trespassers” were registered in the German camps in Bavaria. The currency reform in 1948 which entitled everyone to receive forty of the new D marks revealed the existence of a hundred thousand additional illegal immigrants in Bavaria who had never registered and had not received ration cards but had presumably existed on the black market. An increase of two and a quarter million in Bavaria’s population makes it physically impossible for the German administration to provide adequate housing, for in addition there are 330,000 people who were rendered homeless either by the bombing of their houses or their requisitioning by Military Government. 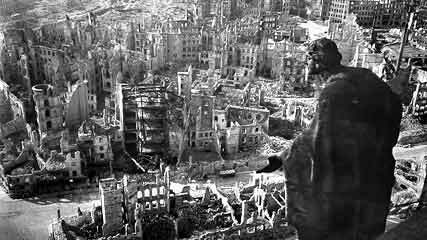 A million rooms were destroyed and another million seven hundred thousand damaged by bombing during the war. The United States Military Government has requisitioned another 115,000 rooms. Excluding the comparatively ample space reserved for the IRO’s DP’s and the far more than adequate accommodation taken over by the Military Government for the housing and recreation of Americans and their guests, Bavaria is today so overcrowded that the average “living space” is one room to each two persons. In Nuremberg, Regensburg, and other badly damaged cities there are nearly two and one-half persons per room or cellar. This average housing space includes barracks, wooden summer camps unfit for living in winter, the dungeonlike bunkers (air-raid shelters) with damp cement walls in which thousands live, stables, and other structures unfit for human habitation. Some refugees are housed in dance halls and gymnasiums and other quarters without sanitation or heating. The transit camps are so packed with humanity that newcomers often have to be kept in the freight cars in which they arrive, or left to sleep in the fields without cover. The majority of the German refugees are women and children, but it is not even possible to find employment for the men and others fit to work. Of the 1.9 million German refugees in Bavaria, 1.2 million are sheltered in agricultural communities with fewer than four thousand inhabitants, and they cannot make use of refugee labor to any considerable extent. The cost to the Bavarian state of feeding the refugees and providing them with beds, blankets, clothing, and household utensils is out of proportion to its resources. In 1948, it was providing three and a half million D marks a month for the maintenance of the camps, not counting the clothing and beds initially supplied. In 1948 Herr Jaenicke, the Bavarian Minister, who is himself a refugee from Silesia, appealed to the United Nations for help, saying that it is impossible for Germany to house and feed the German and non-German refugees denied help by the International Refugee Organization. He appealed in particular for a) the release of unoccupied housing accommodations by the IRO; b) speeding up the repatriation or emigration of DP’s; c) extension of IRO care to the large number of foreign refugees who now escape from Soviet territory to Germany and have to be provided for by the German economy; d) consideration of the need to provide employment for German and other European refugees in the allocation of Marshall Plan funds. Bavaria is the land of refuge for all who succeed in escaping from the countries ruled by the Communists. But when the Germans appeal for help in coping with this great influx of fugitives from Communist terror, they are told that it is not the concern of the Military Government, but entirely a German responsibility. It is not funny, however ridiculous, that, while insisting that expellees and refugees are a German responsibility, the Military Government should smugly announce that it has “directed that adequate reception and distribution facilities be provided.” For it knows as well as the Germans that this is impossible.